I love me backpacks. Organizing my gear, finding new and better packs, and even the look of them, but backpacks play an important role for hikers. Backpacks are one of the two most essential pieces of gear a hiker will need just after quality footwear. A backpack lets you hold all of your important pieces of gear and even life saving items. When it comes to backpacks and how people wear them I see a lot of common mistakes that beginners make, so i will like to address this article to people who have not yet been out on the trail. 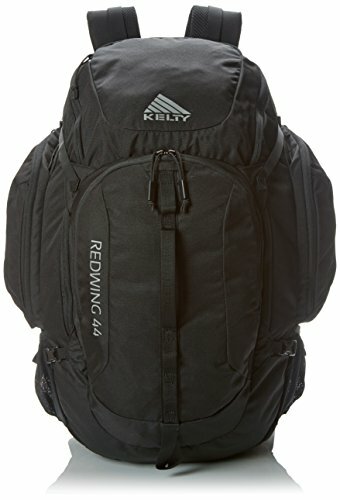 I would like to call out those mistakes and provide information on what type of backpack one should buy. When looking for a backpack the number one most important feature a backpack should have for a thru hiker or hiker is that the backpack have a hip belt. The second most important feature is that it has a comfortable hip belt. All other features are superfluous. Why do we need a hip strap or hip belt? The legs have very powerful and durable muscles that should be used when practical, and therefore in the case of hiking these muscles and no others should be carrying the load of our backpack. When we carry any weight there be in our arms, shoulders, or on top of our heads that weight will always ultimately be supported by our legs as well as the other muscles holding that object (arm, shoulder, head, etc). When it comes to hiking you want to minimize the amount of energy you expend so if possible removing the use of other muscles other than your legs to hold an object is preferable. It is important you do not fatigue yourself and that you remain comfortable as you have a long and unpredictable journey ahead of you! To make this clearer I will use an example of a bowling ball. Let’s say you manage to hold a bowling ball (or any ball) in one outstretched arm. Even though your arm is struggling to hold up that heavy ball of about 8 lb or 4 kg your legs are also holding that bowling ball as well. If you step on a scale you will be 8 lb heavier because of that ball. That 8 lb means that your legs are holding 8 lb more of weight. Wouldn't it be easier to just hold the bowling ball close to your body with two arms? You are still 8 lb heavier but you could probably hold it for longer and your arms won’t get as fatigued. In this position you have just minimized the use of other muscles but are still carrying the ball. Your legs are doing the same amount of work but you just minimized the use of other muscles in this case your arms. Naturally you would want the weight of your backpack to be directly transferred to your legs for long hikes. This is done with the help of the hip straps. The hip strap will transfer all the downward force of the backpack to your hips where your legs can then take the weight. It is easy to spot someone who is wearing their backpack incorrectly and is quite common out on the trail. When you see someone walking up a incline with their backs bent over (I cringe at the sight of this) most likely they are wearing their backpack wrong and part of the weight of that backpack lies on their shoulders. By bending forward they are trying to use their back as a table so the weight can be lifted off their sore shoulders and onto their back. This is uncomfortable position and zaps your energy as you are using unnecessary muscles and in this case the biggest muscles in your body. Shoulders are very weak muscles and should not be used to bear ANY weight of your backpack. Another clue that someone is wearing their backpack wrong is that their shoulders hurt. Your shoulders should never hurt on a 1,000 mile or 2000 km hike with a 40 lb or 20 kg backpack. It only takes about 15 to 30 min with some of the weight on your shoulders to make them soar your whole hike. I have a specific method to don my backpack to make sure I am wearing the pack correctly. I mount the pack normally onto my shoulders (you may have to implore a different method if your backpack is excessively heavy). Then bend over forward (only slightly) to allow some of the weight to temporarily be on my back and not my shoulders. From here center the backpack on your back and then buckle the hip straps and tighten them. If you were to tighten these straps when upright the backpack would be at its lowest position and you would be tightening them under your hips. You would then have to fight the weight of the backpack to try to bring it up while trying to tighten the backpack on the upper portion of your hips. I find it comfortable to have the belt around the upper portion of your hips but not around your waist because our hips widen toward the center so the hip strap will grab nicely onto your hips as the backpack tries to force its way down. Then when tightened I stand upright and tighten the shoulder straps until they are very loosely kissing my shoulders or just nearly floating above. This is just for stability purposes to prevent strong jerking motions to shift the weight of your backpack and throw off your balance. Then I would tighten the sternum strap until it touches my chest and because they are usually built with some sort of suspension system I would tighten it a little more. There are other straps to adjust but these should be adjusted based on your build and height, and will only be adjusted once. If you bought the right backpack and are wearing it correctly then you should never have sore shoulders. This pack has a nice airflow system in the back to keep you back cool as well as nice mesh back padding, an aluminum bar for the frame, and nice thick padding on the hip strap. When I see people walk up inclines with their back bent forward I cringe. I can imagine how uncomfortable their hike is. Here is some advice: when you walk up a hill if you have put your backpack on correctly keep your back and body upright. This will make sure all the force is transferred to your legs and no other body part such as your back. You don't want to expend unnecessary energy or fatigue other muscles. You will find climbing up hills easier with a straight back. A backpack is important because it will store all your essential and personal items. It should be big enough to house all your gear and comfortable. I once heard that the backpack should be the last piece of gear you buy. After you have compiled all the gear (then looked thru it more thoroughly and got rid of unneeded things) you can then pick a backpack based on size. This school of thought is to prevent you from buying an unnecessary large backpack and have the need to fill it. I think this is a sound idea as I encourage people to always carry less when possible. I'm not going to advocate what gear you need or how to decide how much food or water to bring in this article as those could be two very comprehensive articles separately, but i do suggest you do a lot of research on this to try to bring as little as possible. What type of backpack should you buy? Well surprisingly one important aspect you should be looking for (if you don't do a review on every single backpack) is brand. Durability is somewhat dictated by brand as a good brand makes good backpacks, and rarely will a bad brand make a good backpack. Let me explain more before people start yelling at me or start thinking about that price inflation due to name. The part that often fails on a backpack is the stitching. A backpack can be made out of heavy ballistic nylon but a faulty stitch could cause the backpack to unravel into oblivion. One must understand that those stitches are holding as much weight as the fabric is. So the quality of stitching will play more into the longevity of the pack (for the most part). You do not want your backpack falling apart midway through your adventure. Not all stitches are created equal and so a reputation for quality stitching will get you farther than the materials of a backpack. There is a reason brands have lifetime warranty on their light polyester packs. Some great backpack brands are Osprey, Gregory, North Face, and High Sierra but are not limited to these. I will link an affiliate link to one of the most talked about and highly reviewed hiking packs the Osprey Atmos AG (AG = anti-gravity). When it comes to thru-hiking a backpack should be light. You should specifically be looking at thru-hiking backpacks and not hiking packs. I don't promote going out and spending a fortune on gear to end up not having the money for your adventure, but in a pinch use what you have lying around and go. So with that said in a pinch you could use something like a hiking pack. A hiking back usually has a frame to allow rigidity so that the pack does not collapse into your back due to the extensive weight. I prefer an internal frame pack. I find these to be lighter and smaller than external frame packs while still being able to support a heavy load. An external frame has its place for example when hiking very long distances or when carrying heavy gear for specialized trips. You want the pack and its contents to be stable and in place. Don't be to sold on gimmicks like "waterproof" as no backpack is waterproof (cuben fiber has very good water resistivity though) and you will still end up using a pack liner or cover. Some higher end packs have a lot of cool features like suspension systems, extra pockets, pouches, straps, and hook loops, reflective material, built in pack covers, and other features. The more features usually the heaver the pack. These features are all based on preference and to not keep the article technical I will exclude my opinion on this. As long as the backpack has a comfortable hip strap then the rest is up to preference and fit. Trying on a pack as very useful as some hip belts can be deceiving and cut into your skin. Look up reviews online and try packs in the store. The best advice I can give besides the hip straps is travel light. Fatigue is the number one reason people stop before their destination. I hope this article gave you some helpful information so you can get out there and adventure. This was intended to be for beginners but maybe some experts got some useful information out of it. Surprisingly I do see people on the trail who have committed to this long and vigorous journey with a backpack that does not form to their body. If there is one thing to take away from this article is that your backpack should be light, comfortable, and you should be worn correctly. I would like to hear what you think. Leave a comment below. I don't know everything so if you have advice let us know. Different perspectives are valued. Like and share!